TREEmendous first sprung from the ground in 2008. 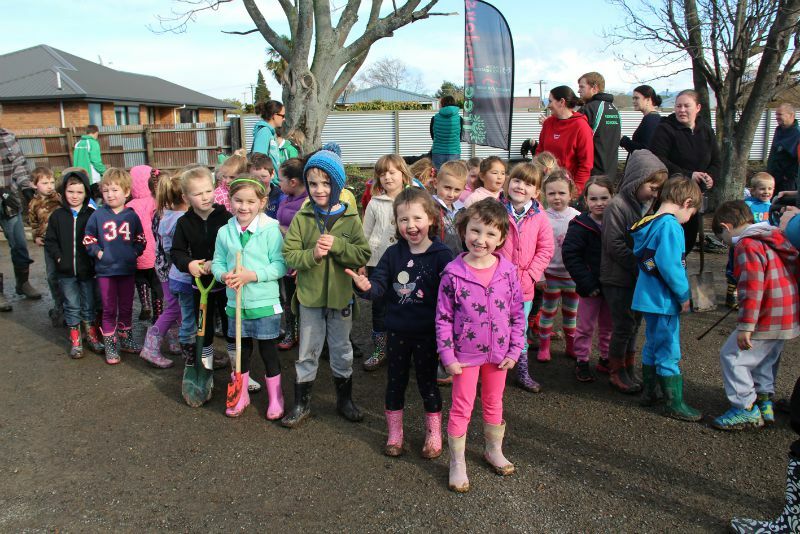 Since then, with TREEmendous sponsor the Mazda Foundation, we have worked with 45 schools from the top of the North Island to the bottom of the South to create amazing native gardens and outdoor classrooms. Four New Zealand schools are chosen each year to have an area of their grounds turned into an outdoor classroom. It might include a lizard garden, native tree planting, creating bird habitats or more! It’s a prize worth $10,000 and all primary and intermediate schools can apply. Such is the success of TREEmendous that it was a finalist in the 2015 and 2017 Green Ribbon Awards. The initiative is about encouraging environmental education in schools, along with teaching children and the wider community about the importance of caring for the environment. Ruud Kleinpaste, the ‘Bugman’, is an ambassador for the project who takes environmental education to the next level at Treemendous events. Ruud brings his insect friends along and teaches the children about New Zealand’s native bugs and the importance of looking after the environment. In 2019, we’ll be visiting Aparima College (Southland), Coromandel Area School (Coromandel), Hukerenui School (Northland), Konini Primary School (Lower Hutt) and Te Uku School (Waikato). We are excited to get stuck in and help our winning schools bring their visions to life – creating areas where students can immerse themselves in environmental wonderlands.